ABOUT 90 percent of financial resources on HIV/AIDS in Zambia are donor driven UPND Kembe member of Parliament Princes Kasune has disclosed. Ms Kasune said it was disheartening that the PEPFAR report submitted to the parliamentary committee on health, community development and social services on sustainability of Zambia’s HIV/AIDs response revealed that almost 90 percent of financial resources on HIV/AIDs responses in Zambia were donor driven. “It is against this background that I urge the Government to reduce th e heavy donor dependency as it relates to the funding of treatment and responses to HIV/AIDS. As Government, we have a responsibility to ensure that there is adequate allocation of resources to HIV/AIDs. Furthermore collectively, as law makers, we have a responsibility to ensure that Government prioritises funding to HIV/AIDs responses,” Ms Kasune said. She said HIV/AIDS was no longer a death sentence and that Zambia could not continue to lose lives from the scourge when there were drugs that prevent death. And Ms Kasune told Parliament that revelations by the Auditor General’s report that some Anti-Retroviral Therapy (ART) had short life span or expired was not just a waste of the much needed financial resources given Zambia’s economic challenges but also a danger to lives. Delivering her maiden speech in Parliament, Ms Kasune said although being HIV positive was no longer a death sentence, prevention remained the best cure for the young and the country at large. “As a country, we cannot afford to continue to lose our children, country men and women, hence the fight for HIV free generation and best government policies must not only be put in place but also be implement and measured. “Lawmakers and leaders have a great responsibility at hand to lead in the fight against HIV/AIDs. By so doing, we will be able to reduce the stigma that perpetuates in our society,” she said. Ms Kasune said the nation and children were counting on the lawmakers to show leadership and work together by taking necessary steps and having a clear road map as Government in the fight against HIV and AIDs. She encouraged all the Members of Parliament to take bold steps in testing for HIV publicly as it would go a long way in stopping the stigma, discrimination and fears associated with HIV and AIDs. “I hope in the near future, more Members of Parliament living with HIV will gather the courage to go public about their status as this will go a long way to fight the stigma and discrimination,” Ms Kasune said. 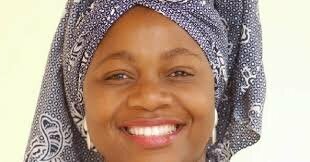 She said there was an urgent need for the Government to come with deliberate policies, strategies and programmes aimed at sensitising the young people so that they could understand their situation while providing them with support and care, adding that not doing so would be sitting on a time bomb and neglecting the leaders and work force of tomorrow.